Every single year we see some new ideas and trends to wear next year. In today’s post, I decided to share with you my favorite cozy winter trends to try this year. It’s never too late for buying new stuff. In this compilation are gathered my favorite pieces that will coy you up during chilly winter days. 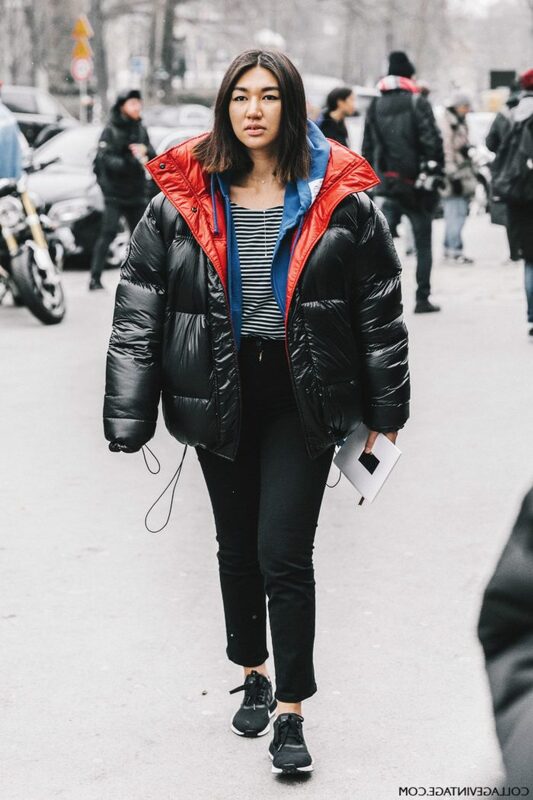 You are about to see all my favorite street style images of ladies who appear in trendy Winter outfits. If you are still in the process of completing your Winter season wardrobe, then I am here to share with you these cozy fashion trends to try out now. The first thing that popped in my mind is high-neck knitwear. It feels like we are having 1990’s fashion back. Indeed, turtlenecks are back and you should know interesting ways on how to wear them in real life. Personally, I love these tops for their comfy and elegant look. This garment is ideal for adding a relaxed and laidback vibe to your everyday clothes. Try on grey high-neck sweater and wear it atop striped shirt teamed with ripped skinny jeans and grey pointed-toe pumps. 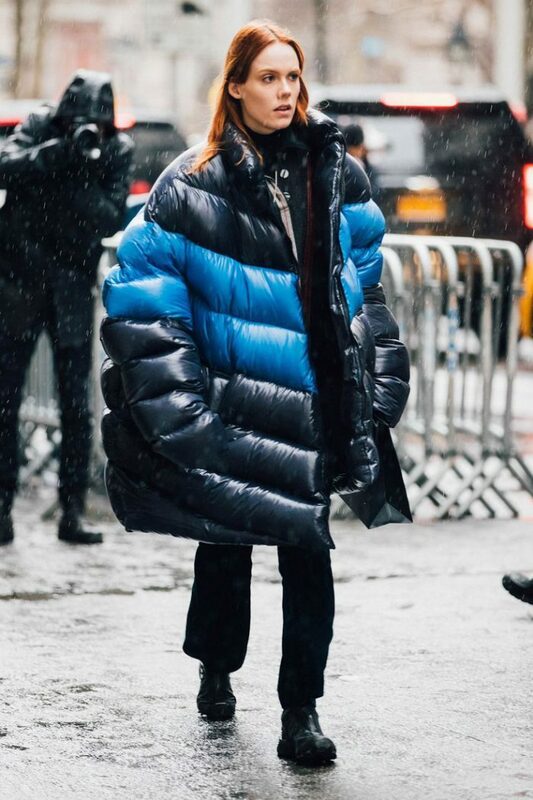 Personally, I recommend to try on puffer jackets. Why? These outerwear garments are great warm saviors. Of course, they are quite tricky to pull off, but once you know how to make them look great on you, believe me, you will wear them anywhere with anything. These jackets are comfy, warm and there are so many interesting colors to choose from. 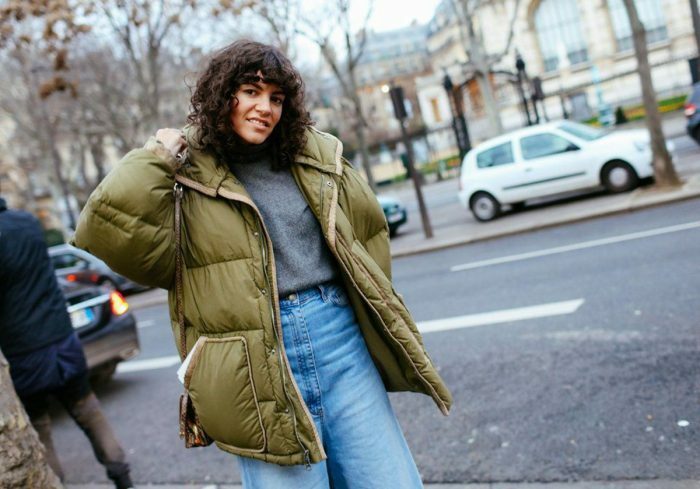 Try on long down-coats that can be styled with your long sweaters with slouchy necks and skinny black pants tucked in black leather ankle boots. If down jacket is not your thing, then how about keeping things glamour with faux fur pieces. This material still looks luxurious and rich. You are going to find plenty of styles and colors to choose from. You can try on blush collarless faux-fur coat and style it with printed shift-dress, black tights and ankle-length boots. No matter how many ladies appear on the streets wearing plaid garments, you know this print is still gonna make you look awesome. You can try on stylish collarless coat in plaid print and complete it with skinny blue jeans, chain handle red shoulder bag and red heels. 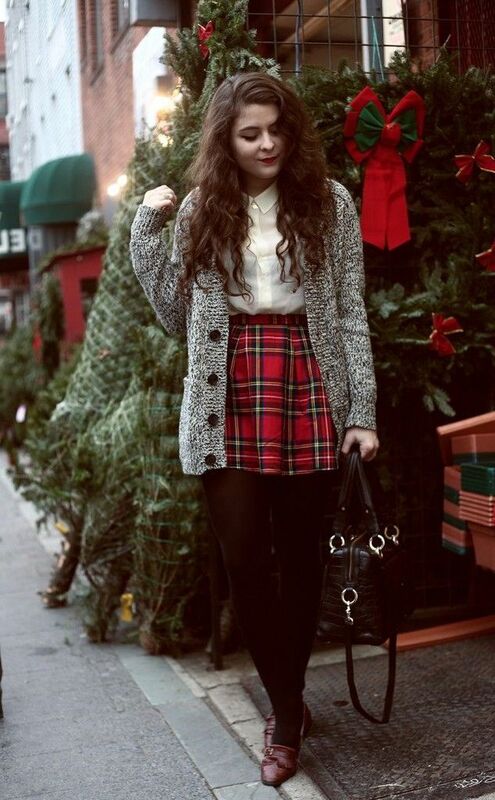 Personally, I love to see gals who wear tartan print skirts paired with white shirts and heavy knit cardigans. The last thing I wanted to mention is the texture play. This technique is ideal for those ladies who want to prevent their monochromatic outfits look boring. This styling trick has turned into a trend this year.